How to Become Famous in IMVU Article - Virtual Worlds Land! Rate this Article Do you want to become popular in IMVU? Of course, you can do that by following these tips here! Virtual worlds offer people a lot of opportunities to do or achieve what they cannot hope to attain in the real world. 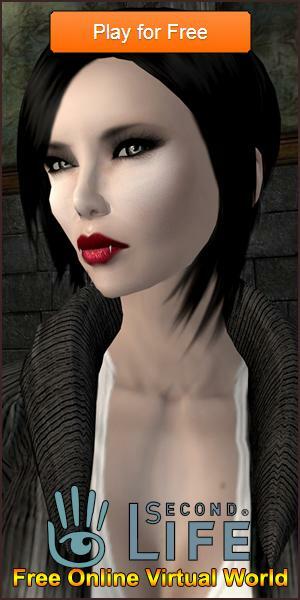 All barriers are broken down here; age, gender, language and physical disabilities simply do not count in any virtual world, particularly more popular ones like IMVU. Do you want to become popular? Of course, you can do that here! There is less of the stuff that is keeping you from being popular in the real world when you create an avatar in a virtual world. However, that’s where the differences end – in IMVU, you will have to go the extra mile before you can hope to become popular. Don’t fret! It is not that difficult, but you’ll have to exert some effort to achieve that fame you’ve been hoping for. Just follow these easy steps and you’ll be a celebrity in IMVU in no time! First off, you’ll want to know what interest groups you want to join in the virtual world of IMVU. These groups are where you are going to be taking your shot at popularity first, so choose wisely. Ideally, you’ll want to join groups that are made up of people with the same interests that you do. This will make it easier for you strike up conversations and, more importantly, sustain them. Not all groups are worth joining though, even those in your niche of interests. You’d have to check groups closely to see if they are active. Some groups are just there but they don’t do anything at all – the people there may just be milling around or parking their avatars without the intention to engage people in any sort of meaningful interaction. Always be the outgoing buddy in the chat rooms. If you see someone whose avatar looks like they need somebody to talk to, be that person. If there are lively conversations going on, always jump in but be careful not to be too rude or too loud. People might dislike you that way and, instead of being popular, you become infamous. Go the extra mile and add those people up as your friends in IMVU. When you’ve got friends to hang out with, you can create and host private chats. This is where you can strike the figurative nail in the head; these people are the ones that will help you become popular, and these private chats are where you can build a relationship with them. Just like any virtual world simulator, IMVU comes with its own forums. This is where you can interact with people discussing anything about the game. You can come across people here who have questions as well as those who have tips and tricks to share about the virtual world. Reach out to these people. The goal is the same – to build a relationship with the people that populate the virtual world. The more you engage in the forums, the more people who can recognize your username and who will want to add you up as a friend in the virtual world. Remember, the more you engage people and the more active you are in IMVU, the higher the chances of you becoming popular. These tips can also work in other virtual world simulators similar to IMVU. Do check out our a list of games like IMVU!